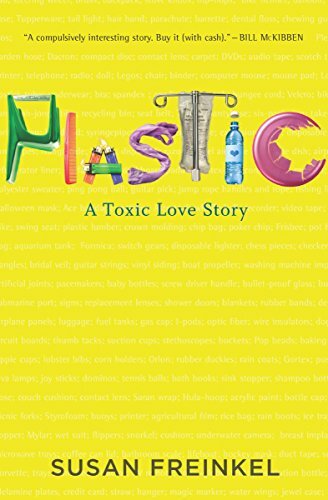 A book about plastic, the objects made from it, and its risks and harms. I became interested in this book through a Scientific American article excerpted from it. That article contained a lot of fascinating history; the book, however is not a history. I was disappointed with this book for two reasons: one, because it is not a history and doesn’t give any sense of the historical development of plastic; two, because it disproportionately (in my judgment) focuses on the risks and harms of plastic, and not on the problems they solve or the benefits they provide. For instance, only a couple of paragraphs were devoted to the invention of the PET plastic bottle, followed by some twenty pages (the rest of the chapter) on the recycling of such bottles, whether they are being recycled enough, why not, how to get people to recycle more, etc. That said, Freinkel deserves credit for covering the aspects she did choose to focus on fully and clearly. It later turned out that most if not all of what I liked in the book was actually from Stephen Fenichell’s Plastic: The Making of a Synthetic Century, and was told better there. I recommend reading that instead.